are definitely NOT one of my favorite things. My normally beautiful plants are all getting mildew and other damp related diseases. and for the rest of the garden, well not so sure this unseasonal storm is doing any good for the veggies either. Everything looks a little beaten down out there. I guess it is pretty on the asparagus . but man, it's a bad mildew scene on the climbers! I can't even bring myself to take a shot of the rust and mildew, it's too horrible. I swear I really took this photo! 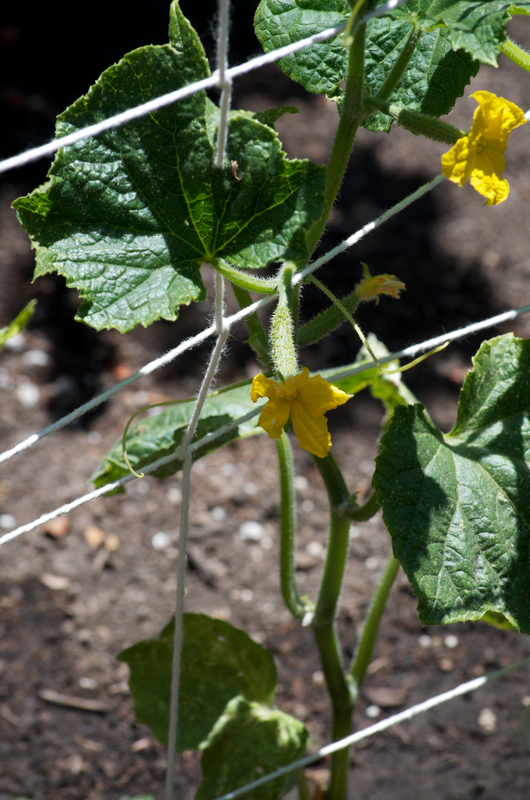 Although still not remotely tall enough to make the enormous trellis a necessity, the Japanese cucumbers are blooming and fruiting. Hopefully the actual fruit will grow larger than the Barbie-size it is now. Also making their presence known, BLUE LAKE GREENS BEANS! We bought bush plants because we thought we wouldn't be able to build a large structure the trellis type need (this was pre-foot vs. inches debacle.) So we weren't sure how/if they would work, but working they clearly are! And finally rounding-out the new veggie round-up a good looking tomato, actually about a dozen tomatoes are forming on our deck plant. They seem to have reached their predicted size, but are taking forever to ripen, must not be quite hot enough for the plant, despite the nursery labeling it a "San Francisco Fog" varietal. Which is weird because it is WAY WAY WAY hotter in Berkeley than SF, so not sure this so called 'fog' plant would survive at all in the climate for which it is named. Go figure. How much did I just show my age with that title? ANYWHOO (what is wrong with me?) 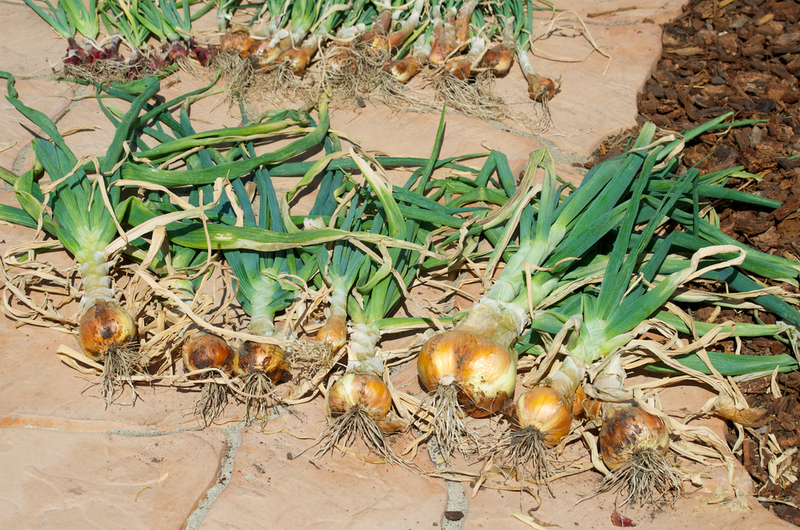 being the good British man that he is Simon planted tons of onions, shallots and assorted herbs in the garden. This past weekend we had the first big harvest. We are now drying them out a bit (as advised by Simon's gardening guru dad via phone from England) so we can store them. We had to hang them on the fence, which kinda makes it look like some kind of Santeria rite is underway. But I am fine with that.